For now it understandable that every Ghanaian knows what a Kumawood movie is and who the major players in the Kumawood movie industry are. For the sake of Ghpage.com readers who are not Ghanaians, let me briefly explain what the Kumawood movie industry in Ghana is. And because of the frequency with which they release movies, a lot of money has been generated for the actors who are very much loved celebrities in Ghana. 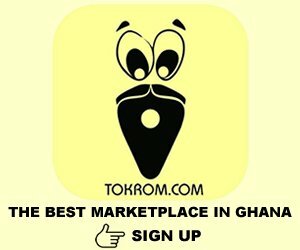 Ghpage.com brings you top ten richest Kumawood actresses in Ghana now and how much they are worth. Rose Mensah popularly known as Kyeiwaa is one of the veterans in the Kumawood movie industry. She shot to fame when she acted leading role as a witch in one of the most criticized movies in the history of Kumawood “Kyeiwaa”. The movie had 12 parts!. Since then, Kyeiwaa became a very popular household name in Ghana burying her born name. Although she is a veteran in the industry, she is not as wealthy as some of the young ones who entered the industry at a later date.Kyeiwaa has relocated to the United States. Ghpage.com can confirm she is worth $35,000. The voluptuous and curvy Kumawood actress, Christiana Awuni is one of the top ten richest Kumawood actresses in Ghana now.